NASA have incredible records of space achievement than any other space agency in the world. From successful manned mission to Moon in 1969 to on going Mars exploration NASA continuous to brings the outer world more close to the humankind. The images of each NASA mission also makes feeling of ‘sky is not the limit’ in every human. Here the list of top 9 most spectacular space photos from NASA. It is the solar prominence developed from left limp of Sun on 16th April, 2012. 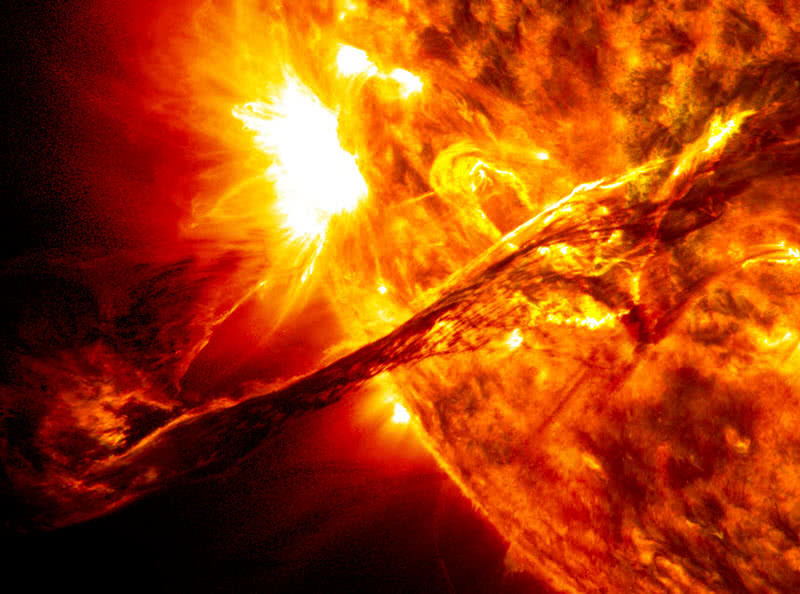 This spectacular solar phenomenon is captured by NASA’s solar dynamic observatory. It have a wavelength of 304 angstrom, appears in deep red color. Solar prominence also trigger out coral mass ejection, a massive burst of solar flares and wind out of surface of Earth. 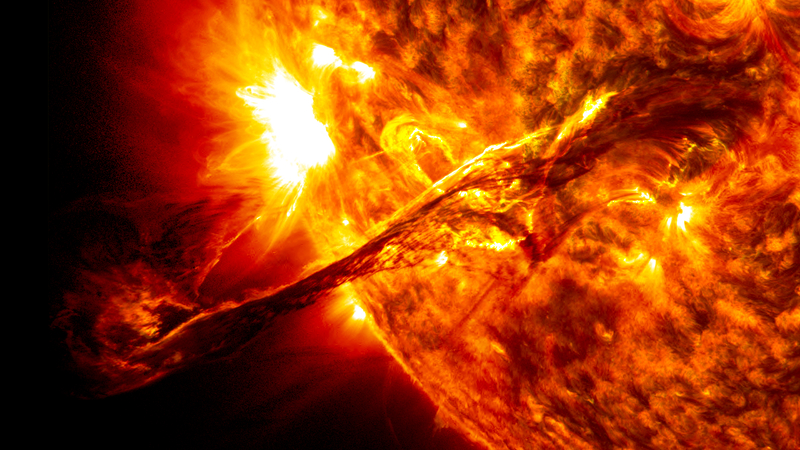 During such eruption the solar flares looping to hundreds of thousands of miles. The recorded prominence erupts from Sun in 2012 didn’t reach up to Earth. The deep red erupting material during this phenomenon is nothing but the plasma, a mixture of hot wind and charged particles of hydrogen and helium. This bright colored image of comet ISON was taken from NASA’s Marshall Space Flight center using 14″ telescope with color CCD. This spectacular image was taken on 8th November 2013 when the ISOn comet was 97 million miles away from the Earth. At that time comet ISON is all it’s way to mess with Sun on 28th November, 2013. After making a closer slingshot with Sun comet ISON became extinct on November 28. this parabolic comet was discovered by Russian astronomers Vitaly nevsky and Artyom novichonok on 21st September, 2012. It is estimated and comet ISON was coming from oort cloud, can said as edge of solar system and started heading towards Sun from millions years ago. 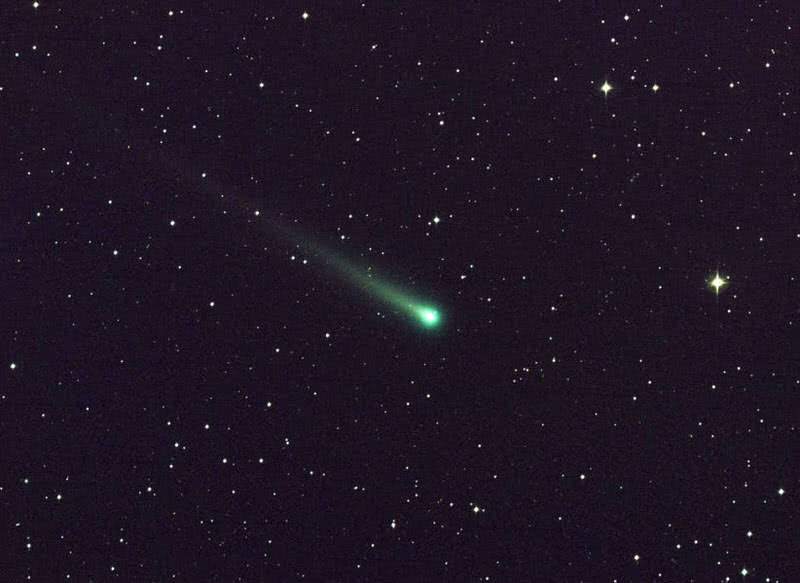 Comet ISON have an icy body with length of several millions kilometers, also having tail 20 times wider than that of full moon. During travelling towards the Sun comet ISON gathered 1,12000 pounds of dust in every minutes. Before the disappearance comet ISON completed 4.5 billion years in oort cloud and made journey with time span of 3.5 billion years, also made remarkable approach of 750000 miles away to Sun surface. The great red spot of Jupiter captured by NASA’s Voyage I space probe in 1979. This space probe is actually sends for with mission to study the outer solar system. The red spot in Jupiter is nothing but high pressure storm region in the the planet. It shows more resemblance with the hurricanes on our Earth. 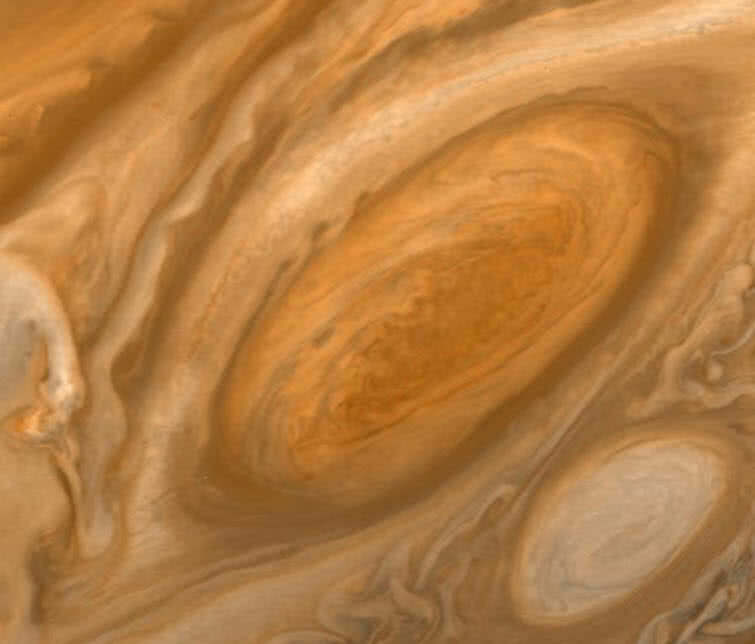 The red spot in Jupiter could seen from Earth before hundreds of years. In fact this this huge storm can holds planet of size of three Earths. From the closer picture of red spot of Jupiter from NASA there are different colors of clouds swirling around. There is also have scientific report that about 100 years ago this red spot have twice as size of today and also it continues to shrinking in coming years. This image of left front wheel of Curiosity rover was captured while it’s exploration on red planet, on 30th November, 2013. Curiosity rover uses the hand lens imager camera within it;s arm for capturing this martian picture. Within this time Curiosity rover have completed 4.47 kilometers of self driving on red planet. This image also shows the weer and tear causes to the tires of curiosity river due to it’s exploration through rough surface of Mars. 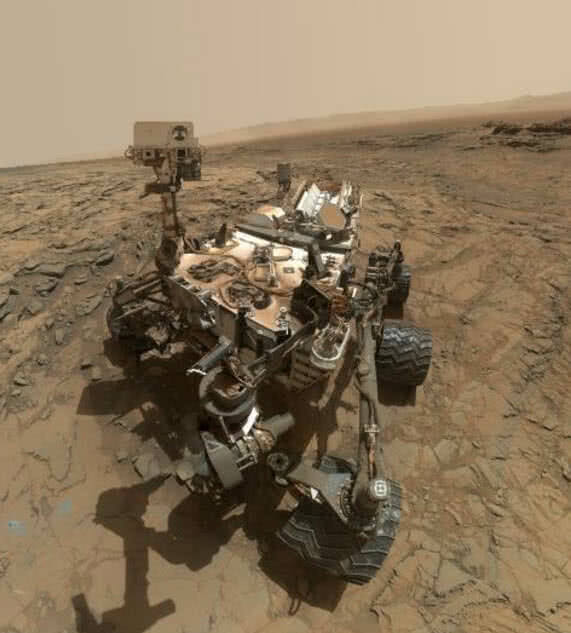 NASA’s curiosity rover already had completed one successful years on Mars, which is actually landed on red planet on 6th August, 2012. The primary mission of curiosity rover to check evidence for life within selected sites by NASA scientists. During this time this space rover manage to send different photos of Mars to Earth that provide solid informations about climate conditions of the planet. credit of image : NASA/JPL-Caltech/MSSS/Texas A&M Univ. 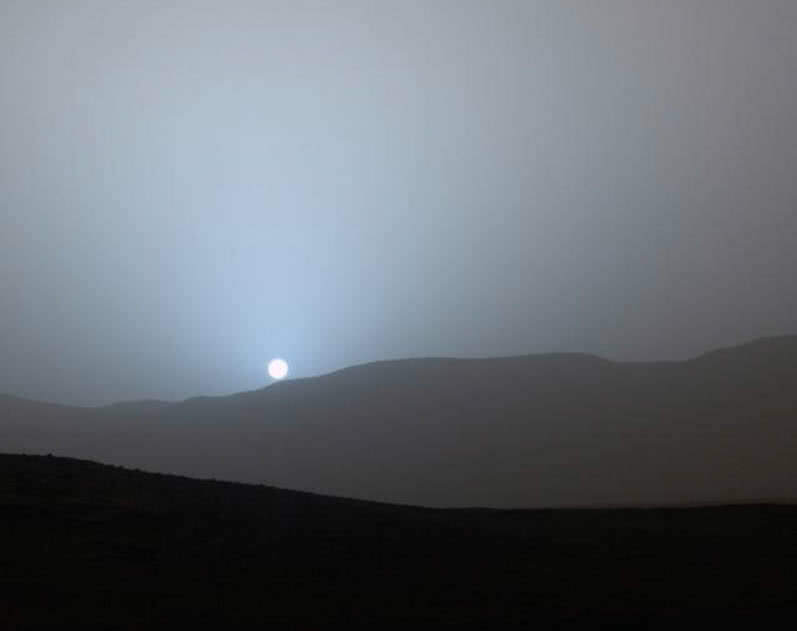 This spectacular view of Sunset on Mars was captured by NASA’s Spirit space rover. This space rover made a successful exploration in Mars between the period of 2004 to 2010. The entire communication with Spirit rover had lost in 2010. The ‘Sunset on Mars’ became most ionic achievement made by NASA’s Spirit rover from Gusev crater on the red planet. The panoramic camera mosaic set on Spirit rover is one which made the amazing capturing of Martian Sunset during 489th Martian day. This kind of Sunset and twilight images on Mars helps the scientist to estimate the height of dust within the planet. NASA’s Viking I is the first ever spacecraft to touch the Mars surface. 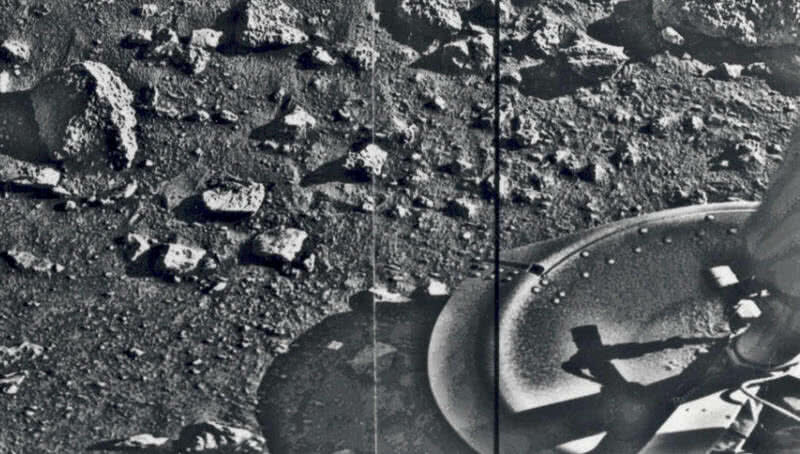 The Viking I spacecraft touched the martian surface on 20th July, 1976. This spacecraft also holds the record to send first ever image of Mars to Earth just after touching the surface of red planet. This Mars mission spacecraft of NASA successfully completed 6 years on the planet, made long time exploration on Mars just behind that of Opportunity. The primary objective of Viking I spacecraft is nothing but to capture high resolution image of Martian surface and to understand the atmospheric behavior of the planet. It is also a great achievement for NASA space agency to capture the image of Mars 38 years ago from today. The view of earth from space is the most spectacular things that a man ca ever get in his lifetime. NASA’s Saturn mission spacecraft manage to gift us view of mother Earth and Moon from Saturn. Cassini capture this color image of Earth and Moon from 900 million miles away just near to Saturn planet. 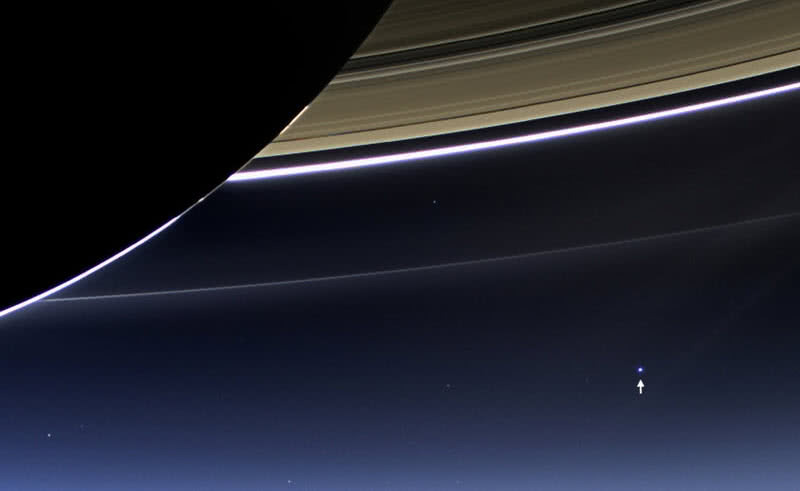 Within this marvelous space image Earth and Moon appeared as small dots compare to size of rings of Saturn. Earth appeared as pale blue and Moon in white within this Cassini’s space image. NASA also made opportunity to people on Earth to watch their mother planet from interplanetary distance for the first time in the history. The main reason for why images of Earth from space became rare is nothing but from such a great distance the hot, brighter Sun appears to be very nearer to Earth and chances of damaging sensors of space camera increases. In such condition Cassini spacecraft manage to capture this rare picture when Sun hides behind Saturn. Cassini is a combined project of NASA and ESA to study about Saturn and it’s natural ring, follow this mission since 2004. By following president John F Kennedy’s announcement in 1961 NASA successfully made manned mission to Moon on 20th July 1969. Neil Armstrong became the first man to touch the Moon surface in the history of mankind, Buzz Aldrin follows him. This image shows Neil Armstrong working on lunar module, one of the most ionic image of NASA. 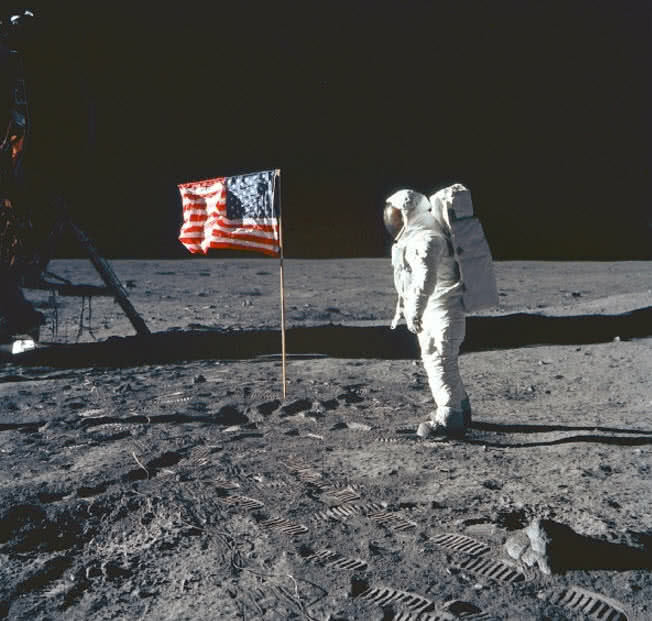 Both Neil Armstrong and Buzz Aldrin collected samples from surface of Moon. They also put flag of America on Moon surface and sign on Moon rock. Mike Collins manage to stay in orbit around Moon and took pictures of their mission. On 24th July 1969 the three astronauts of NASA agency safe;y return back to Earth. Earthrise is the most popular photograph from NASA’s Polo 8 mission, the first ever manned mission to lunar orbit. 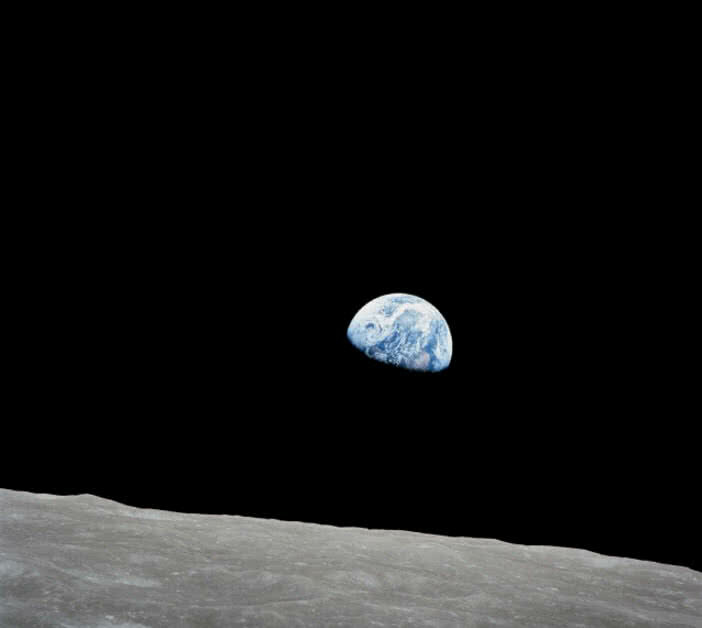 Frank Borman, Jim Lovell and William Anders the astronauts of Apollo 8 mission took the photograph of mother planet from lunar orbit on Christmas evening of 24th December 1968. It is the first ever image of Earth from deep space. The astronauts of Apollo 8 mission from NASA also became first human beings to enter lunar orbit in the history and they also made historic live broadcast from lunar orbit on Christmas evening of 1968.